We simply won’t comprise on quality and we do this while offering a competitive price. Our delicious products are made using the finest ingredients – locally sourced when we can – and we prepare every item carefully to ensure that it meets our exacting standards. What’s more, we believe delicious baked goods needn’t be expensive, which is why we keep our prices competitive to save you money on eating well. This passion for baking the best has helped us to maintain and grow our wholesale customer base, many of whom have been buying from us for years. 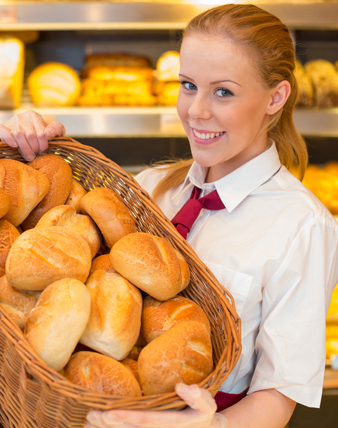 If you’d like to become our next happy customer, we recommend that you visit one of our stores to speak to our team, or alternatively, call us now on 01536 203682 to enquire about our wholesale bakery deliveries.